American Mystery Classics, 9781613161050, 216pp. 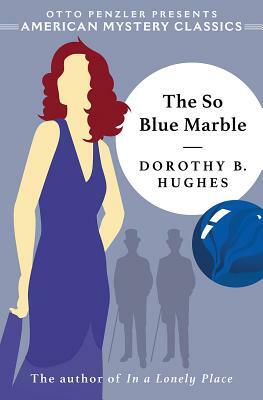 Drenched in the glamour and luxury of the New York elite, The So Blue Marble is a perfectly Art Deco suspense novel in which nothing is quite as it seems. While different in style from her later books, Dorothy B. Hughes's debut highlights her greatest strengths as an author, rendered with both the poetic language and the psychology of fear for which she is known today.